We are your local Farm and Ranch supply store! Fleming Farm & Ranch Supply has proudly served Lindale and surrounding communities for over 50 years with a wide variety of feed options for cattle, horse, poultry, livestock, wildlife, and more! 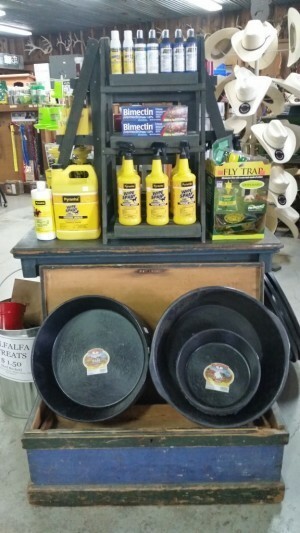 We are your local store that has pet food & supplies, lawn and garden, hunting products, fencing, hay, and animal health products for your home, farm or ranch. Our knowledgeable staff has many years of experience and strives to keep up with the latest developments in today’s marketplace. If you have special needs, we work hard to fill specific requests for products. Fleming Farm and Ranch Supply provides quality customer service, we are happy to load anything we carry directly to your car or truck. Call us, email or stop by, we look forward to serving you. Fish Truck Here! Monday, March 4!